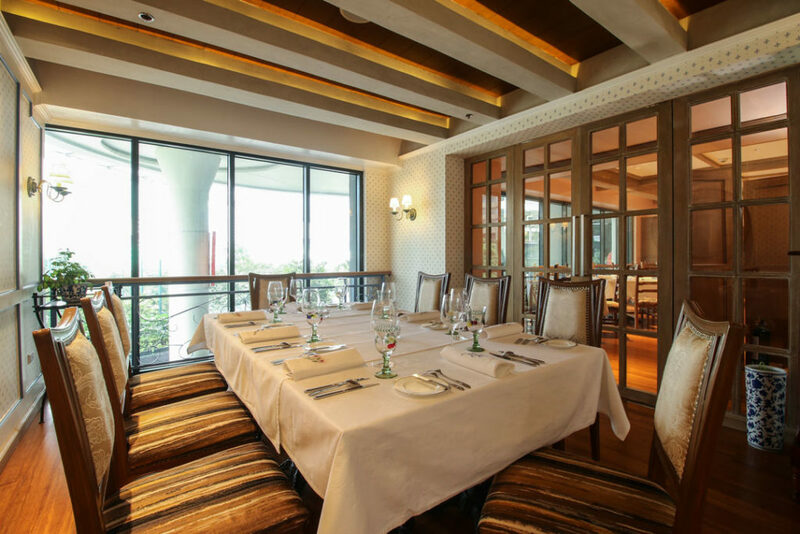 The main dining area on the first floor offers space for events up to 35 persons. After climbing the signature stone mosaic steps, the area offers a almost home-like setting for events meant to have a personal touch. 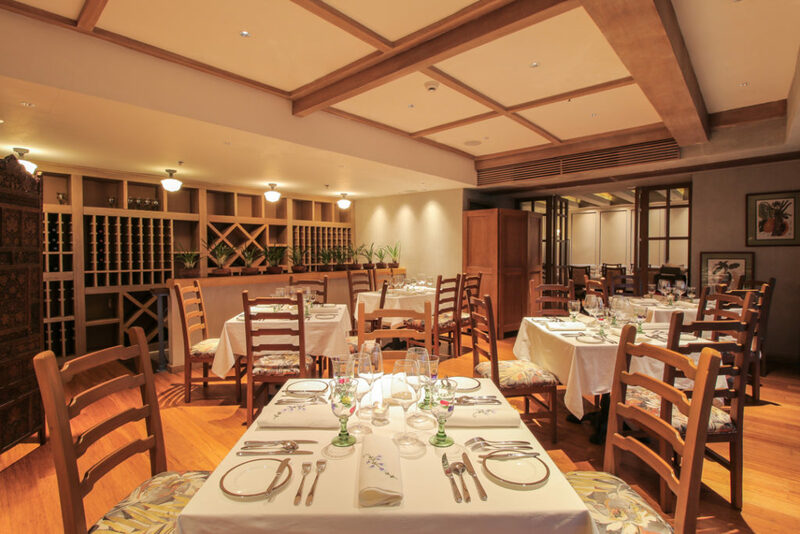 An ideal place for birthday, anniversaries, important corporate lunches or any other special occassion. The private room decorated with white and royal blue fleurs is perfect for small business meetings or family celebrations up to 10 persons. 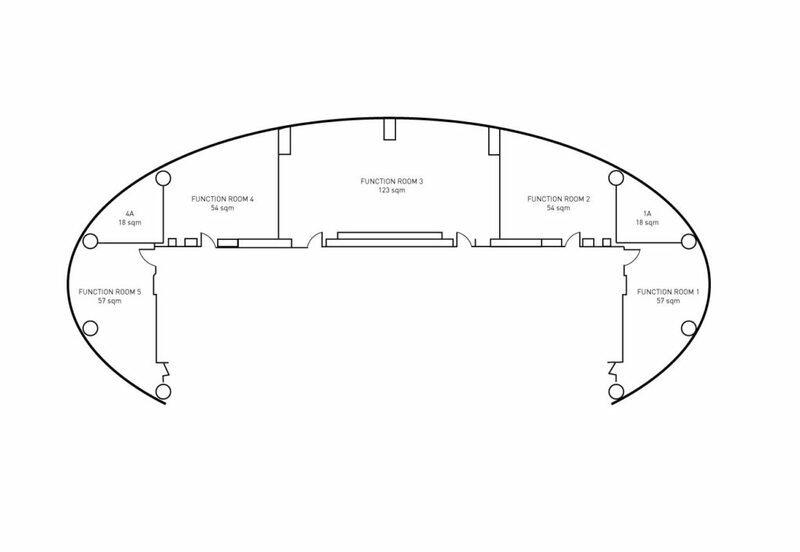 There are two high-ceiling function rooms available that can host up to 80 guests. 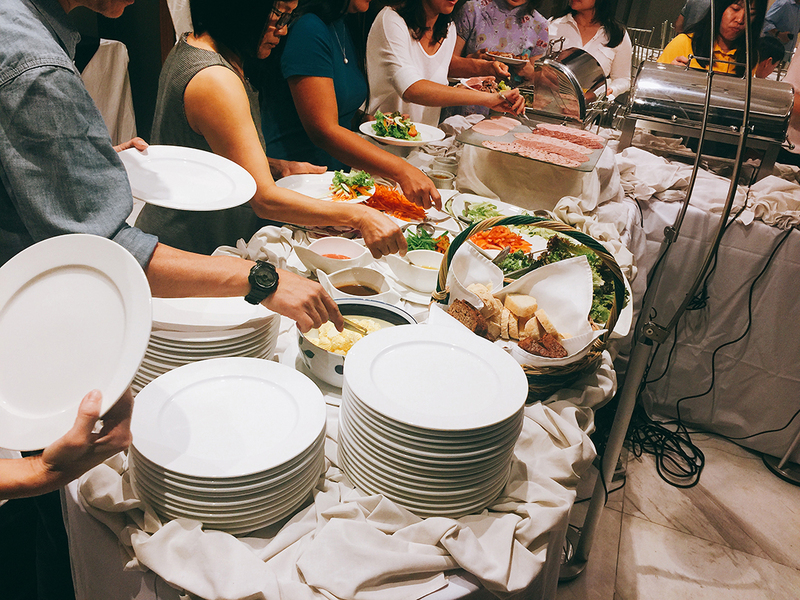 Movable partitions let both rooms convert to one large function room for 160 guests, an outdoor garden in front of the venue invite guests to mingle above the hustle and bustle of BGC. Tower II houses 5 function rooms that are convertible to a Grand Banquet Hall in the shape of a half-moon with a view of the night lights from the Pocket Garden. The function room capacity ranges from 40 to 90 guests. 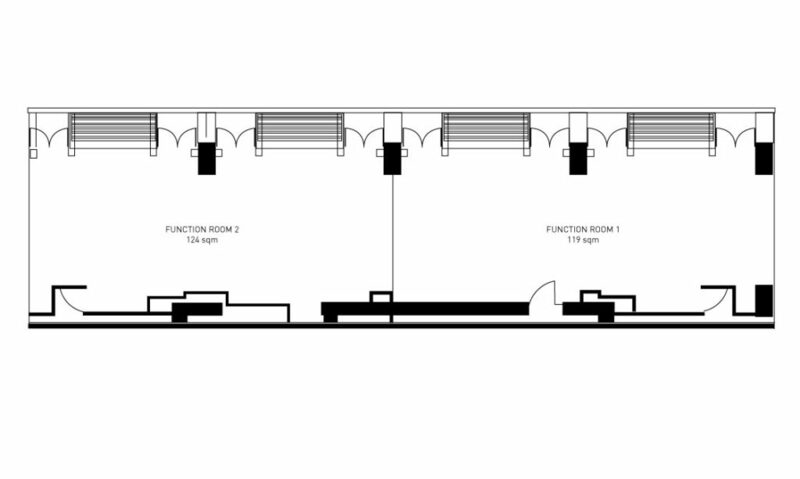 Adjoining areas can be combined to a larger function room for up to 150 guests due to movable partitions. The area has a uniquely designed circular metal art that deep-sets the lighting that matches the interior feel of the room.